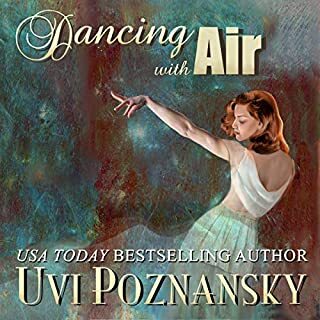 Uvi Poznansky has a unique writing style and this story was perfect for her musical prose style, weaving this tender romance story as if she were leading the reader along in a dance, drawing us in, captivating, making us care about the lyrical characters of Lenny and Natasha and hope for them. As we are taken back to the time of World War II and their love affair, you can't help but be fascinated with the time period, the spy mission, the danger and sacrifices. The narrator dramatized and sang songs of the era, making the immersion complete into the story world of Lenny & Natasha, and their beautiful love in the time of war. The ending is poignant and perfect, but that's all I'll say so as not to spoil the experience. Excellent story, very well told! Superb! Gabriel Allon, the art restorer, spy, and assassin described as the most compelling fictional creation "since Ian Fleming put down his martini and invented James Bond" ( Rocky Mountain News), is poised to become the chief of Israel's secret intelligence service. But on the eve of his promotion, events conspire to lure him into the field for one final operation. 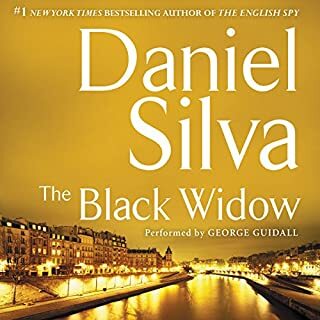 ISIS has detonated a massive bomb in the Marais district of Paris, and a desperate French government wants Gabriel to eliminate the man responsible before he can strike again. I could not get behind the supposed heroine of the story. Drawing out all the destruction and having Natalie play along and all the watchers just sit an watch it play out and do nothing was a tortured twisted and deeply flawed illogical construct for the sake of the story. And in the end there was no payoff for the reader. Because saving Natalie's sorry skin was no payoff. Killing Jamal in the final scene was a meaningless afterthought. It's a shame Silva wasted his considerable talent on telling this story.